You must make reservations at least 5 minutes in advance of the time at Acqua Restaurant NYC. ACQUA at Peck Slip is the perfect venue for your special event! A hidden gem in the oldest corner of New York City will turn your party into a day you will never forget! Conveniently located in the Financial District, Acqua is easily accessible by car, public transport and ferry. Located in the historic district of South Street Seaport, ACQUA is an Italian restaurant serving Southern Italian coastal cuisine. Acqua celebrates the power of the sea and the freshness of its products by importing fresh seafood directly from the Mediterranean Sea. 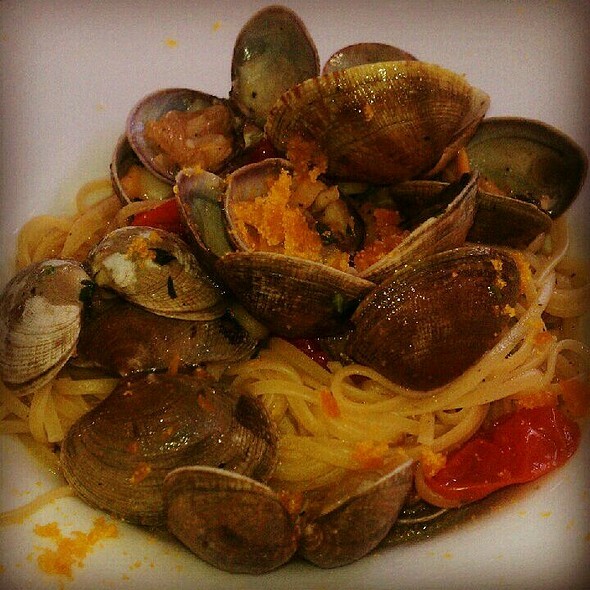 We offer an extensive Raw Bar menu, seafood antipasti, primi and Chef Giuseppe’s famous hand-made pasta. A bright, open, warm atmosphere welcomes you inside the restaurant and takes you straight to Margellina in Naples. 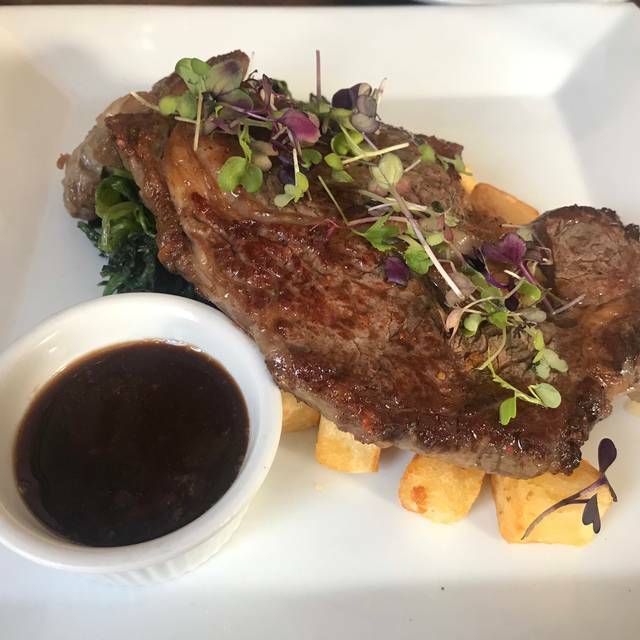 With big windows, old wooden floors, simple furnishing and vintage wooden tables and chairs, Acqua is the perfect place for enjoying authentic Italian food and premium wines. The wine list features a premium selection of red and white wines from every region of Italy. Outstanding cuisine, warm service, and phenomenal wine programs – all in a relaxed and welcoming atmosphere. The food was amazing. Our server was great. Very friendly and knowledgeable. Kept our teenage guest entertained. We will definitely be going back. 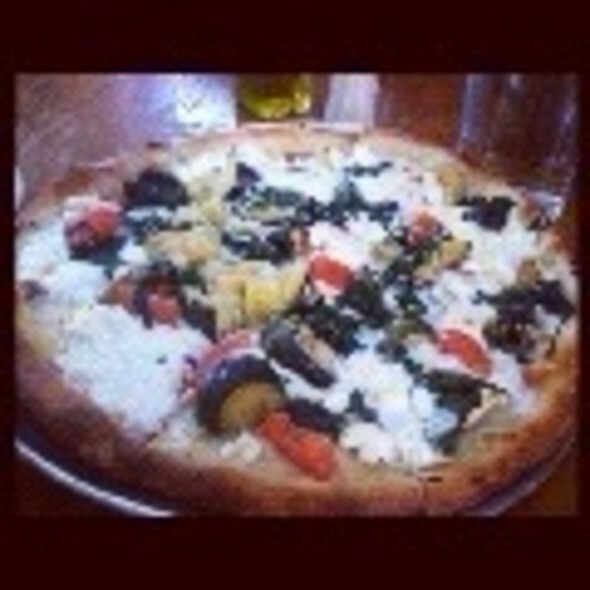 Gluten free pizza and pasta options are great. But wish they served gluten free bread in the bread basket. Came here for brunch, have lived in financial district for 2 years and this has never popped up as a place to go - I wish I had known about this sooner! Brunch unlimited cocktails is $17 and it’s a classy place! Service was amazing, the waiters/waitresses couldn’t do enough. Food was good - could probably do with more brunch options but the food was solid. Will definately come back again! We are Neighborhood people and they treated us like tourist. Pushy servers. Food bland. Not sure what kind of Italians are in the kitchen. Horrible experience. Walked 4 minutes home and had left overs and our own espresso. Excellent meal with good service. Fish dishes were every good especially the shrimp and avacado starter and the fish soup. Very good wine list as well. Acqua restaurante es un local bien puesto, con bastante encanto en una soleada plácita que hay bajo un puente de color malva, justo antes de cruzar a Broooklyn y ceca del distrito financiero. Tienen mesas en el exterior para comer. A tener en cuenta que ofrecen bastantes platos de la carta sin gluten (pizza incluida). El precio para ser Manhattan aceptable, aunque los vinos eran caros. Accesible para personas con movilidad reducida. We had a delightful dinner at Acqua, the food was very good and the service was outstanding. I got a lesson in Italian Chardonnay and wound up ordering two glasses. The restaurant is cozy and friendly. My husband had octopus (!) and he loved it. I will leave that up to him. The pasta and bread was delicious and one the prosciutto on the pizza was so good, not too salty or fatty. And do NOT pass up dessert. We made a reservation at the last minute on a Saturday night and the restaurant filled up quickly after we arrived. It's also a nice walk through South Street Seaport after dinner. Birthday dinner with family and friends. We brought our own cake. Had a great time, not to mention the food was great! From beginning to end, both the service and food, were excellent...can’t wait to go back!!! One of the best meals I have ever had in the city!!!! It was cold sitting next to window. Server was great. Highly recommend. Food was delicious and artfully presented. Appetizers, salads, entrees and complimentary desserts... all wonderful. Service was friendly and professional. Very European vibe. Homemade Limoncello was an unexpected treat. if you like high-volume music typically Neapolitan and you are not in a hurry, this restaurant is for you. I personally like talking to those I have in front of me and I do not like waiting 30 minutes for a course. It's a shame because the food is very good, and also well presented. Great ambience, excellent tasting food and service! Great seafood with an authentic Italian flare. Service and ambiance were a huge plus. If you are downtown and looking for a friendly place with great food and ambiance this is it. Branzino, snapper were outstanding. This place is incredible. I love coming here! The staff is fantastic and the food delicious! Amazing experience ! Awesome food and incredible service from Giuseppe ! Amazing food, service and excellent atmosphere. I was beyond happy to have celebrated my birthday at Acqua. The food was delicious. Very good food! Will be back ! We will celebrate many future occasions at Acqua. The staff made us feel welcome and appreciated and the chef himself came and sang happy birthday. 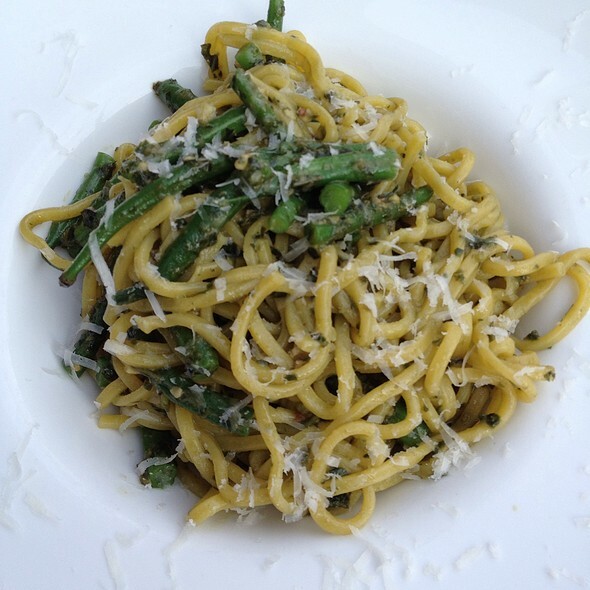 The food is magnificent, a take on modern Italian; but the service is even better. overated, overpriced, and a attitude filled waitress. Dear Chuckd, we are very sorry that we didn't met your expectations that evening. Please come again! We will not disappoint you! All the best! This restaurant is a gem. We were with a small group of friends and really enjoyed. 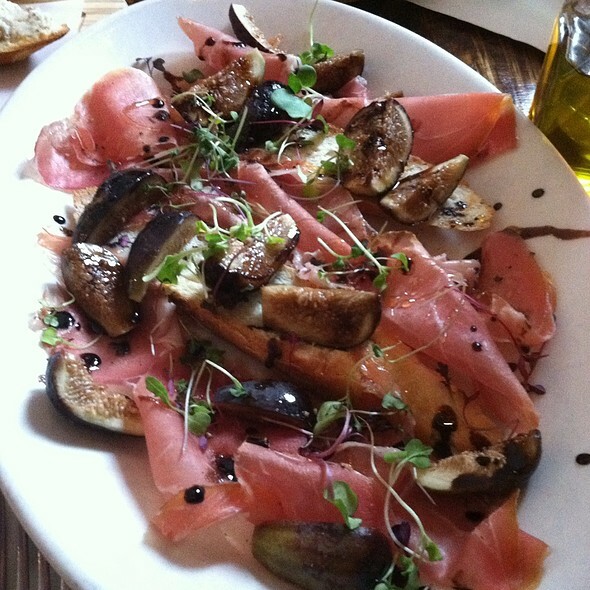 The food is amazing and real Italian, service is friendly and on the spot. Its really like going to a restaurant in Italy. Highly recommended. My dinner arrived with ONLY shrimp, I had to ask where the calamari & octopus was, which was then brought to me in a separate bowl. (should have been noticed before it left the kitchen) We were told the Tuna was Sashimi grade and thinly sliced...but it arrived as a well done tuna steak! Waitress told us "the kitchen is very busy tonight, sorry for the confusion" but she was the one who told us about the tuna which was not sushi grade, thinly sliced as it was over cooked. When she returned the tuna plate, all the kitchen did was cut it up...same well done tuna steak cut up. Very disappointing. However, the wait staff was friendly and we were greeted warmly. But that doesn't make up for falling way short of our dinners. This is an absolutely terrific restaurant -- great food and wonderful ambience. You don't sit on top of each other and the people are so friendly -- it makes you instantly feel welcome. This place is closed. We booked it on opentable and went there with a client on the day of the booking and the place was under renovation and apparently under new management. It’s not good for opentable to not be up to date with this and bad form for the restaurant to not inform opentables about the change. That was a huge inconvenience for me. I booked for dinner January 3 - special occasion for a couple visiting from Australia for their honeymoon. Arrived to find the restaurant CLOSED until Jan 12. Even though Opentable accepted our reservation, it was closed for renovation. Poor form Acqua. Bad customer service. 1/2 heure d’attente dans un recoin. Dommage car bonne nourriture et personnel sympathique. Et en plus 20% de tips sans nous demander notre avis, on voit bien que nous étions des touristes. We love Acqua! This has really become our go to place for any occasion! Chef Giuseppe makes us feel so welcome and at home. They really give the vip treatment! The food the drinks the staff just wonderful and all with the beautiful south street seaport backdrop...go here only if you want the full package! I found out about this restaurant from the DK top 10 NYC. What a gem!!! Authentic through and through. Italian with a fresh seafood focus. 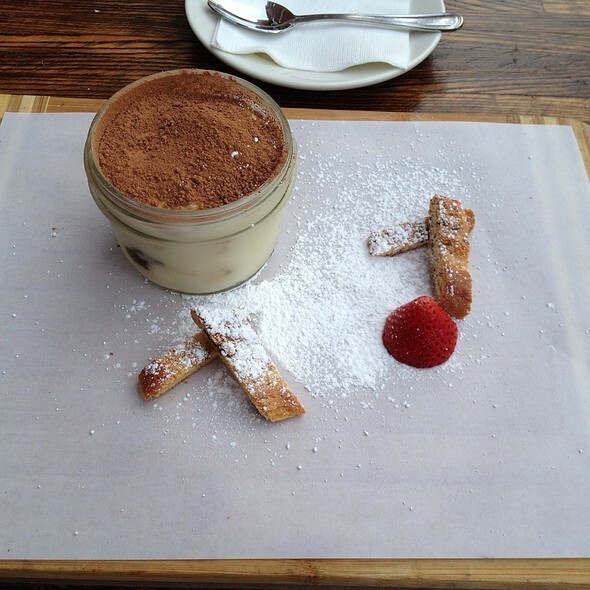 I ordered the buratta, ravioli of the day and dessert, Panama cotta with an espresso. Everything was perfectly prepared and service was impeccable. Everyone should try this wonderful restaurant. This restaurant was great. They had an amazing, comprehensive wine list and great Italian food with a lot of daily specials to switch things up. The serving staff were very helpful and very friendly. My boyfriend and I booked for our birthday and they brought us out a dessert and sang us happy birthday. Very unexpected and very heartwarming. The food was delicious and filling! 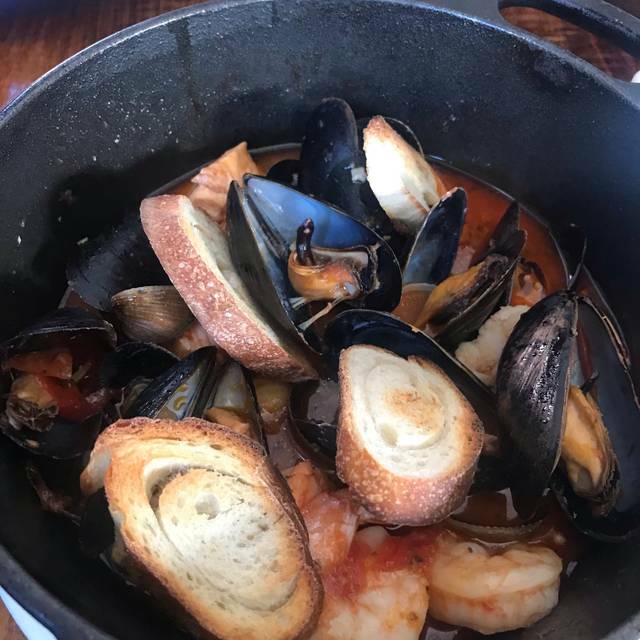 We had the Zuppa di Pesce (a wonderful seafood stew with seafood like mussels, shrimp, and toasted bread) and the Calamarata Gamberi e Vongole (pasta with clams and shrimp). The restaurant was filled with some large groups and some date night couples. I thought the evening atmosphere was very cozy and romantic. At the end of the night the head chef came over to chat with us and brought us some limoncello. It was the perfect touch. 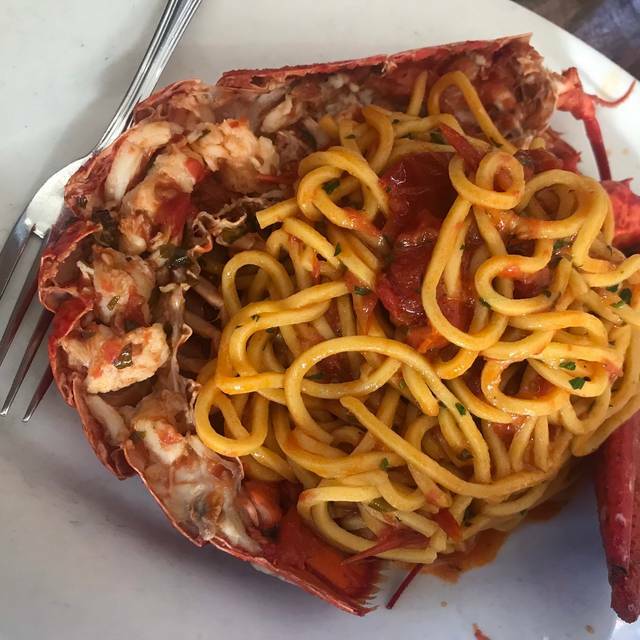 Would highly recommend to anyone looking for amazing Italian food that isn't the standard menu, fresh seafood, and a great atmosphere in New York. Good service and a solid menu. Good casual local restaurant. Abbiamo cenato in questo ristorante italiano nei pressi del ponte di Brooklyn, è stata una bellissima esperienza. Il proprietario Giuseppe ci ha accolti con allegria, i ragazzi in sala sono stati molto cortesi e simpatici ma anche molto professionali. Il cibo ottimo, avocado e gamberetti, red snapper freschissimo, pesce spada saporito e delicato. Dolci ottimi come il Fiano di Avellino che abbiamo scelto come vino. Consigliato e da riprovare quanto prima..